To commemorate the fast-approaching November launch date, Square Enix and Microsoft have unveiled the comprehensive Rise of the Tomb Raider Collector’s Edition. Full Xbox One retail copy of Rise of the Tomb Raider. 12 inch tall statue of Lara Croft. Replica of Lara’s leather in-game journal. Model of Lara’s jade necklace. Crystal Dynamics’ follow-up to the 2013 hit will be releasing as a Xbox timed-exclusive this holiday season, before making its way onto PC and PlayStation platforms in 2016. 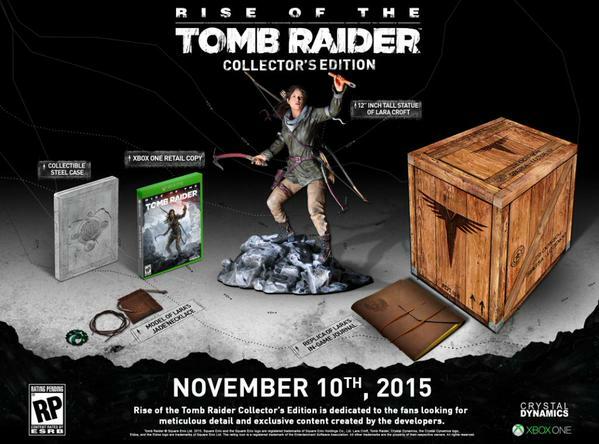 As per this licensing agreement between Microsoft and Crystal, it’s not too surprising that a Collector’s Edition has arrived, and there’s no question that Rise of the Tomb Raider is one of the heavy-hitters to arrive before the year’s end. Now that her arc from hapless explorer to bona fide Tomb Raider is all but complete, Lara will set her sights on a mysterious elixir of immortality in the upcoming sequel, sending her into the ice-cold wilderness of Siberia. Survival will, once again, play a major part in Crystal’s follow-up, with players forced to subtly mould their strategies to best suit the surrounding environment. Caught in the thick of a snow storm? Watch out for guards catching sight of the footprints you leave behind. Rise of the Tomb Raider is set to launch for Xbox One and Xbox 360 on November 10. Still to catch up on Crystal Dynamics’ bold 2013 reboot? 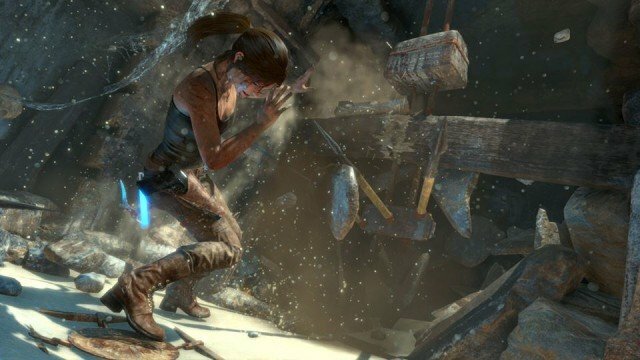 Fret not: Tomb Raider will be available via Xbox Games with Gold in mid-September.